View my new listing for sale at 72 - 7831 Garden City Road, Richmond and currently listed at $788,800. View my new listing for sale at 107 - 503 W 16th Avenue, Vancouver and currently listed at $1,168,000. View my new listing for sale at 101 - 1195 W 8th Avenue, Vancouver and currently listed at $555,000. View my new listing for sale at 106 - 3131 Main Street, Vancouver and currently listed at $599,900. Contemporary 1 bdrm & large den in the heart of popular Mount Peasant neighbourhood. Beautifully renovated home with engineered hardwood floors, modern kitchen w/Corian counter tops & a spa like bathroom w/heated floors, soaker tub, elegant vanity & lightning. Oversize master bdrm has a walk in & built in closets. This freshly painted & well appointed home is a perfect urban oasis for a busy professional or a small family - the extra large den is currently used as a 2nd bedroom! Open concept floor plan with a gas fireplace are perfect for entertaining. This is a fully rain-screened building w/the updated roof & plumbing for additional piece of mind. Unit comes with in-suite laundry, secured parking & locker. Amazing location! View my new listing for sale at 1605 - 1188 Quebec Street, Vancouver and currently listed at $1,398,000. View my new listing for sale at 303 - 838 W 14th Avenue, Vancouver and currently listed at $999,000. View my new listing for sale at 1187 E 19th Avenue, Vancouver and currently listed at $1,395,000. View my new listing for sale at 1007 - 13380 108 Avenue, Surrey and currently listed at $319,900. Beautiful, bright, and functional 1 bedroom condo plus office in the heart of downtown Surrey. Walking distance to Gateway Skytrain station, SFU, Central City, library, City Hall, parks, dining and recreation. This lovely, open plan apartment features beautiful laminate flooring throughout the unit, contemporary kitchen, stainless steel appliances, quartz counter tops, in-suite laundry, 4 piece bathroom, one secured underground parking and a locker. The building offers fully equipped exercise centre, media room and a garden. Enjoy amazing views from your private patio and abundance of natural light coming through the over sized windows. Tenanted at $1,325 a month. This is an amazing opportunity for an investor or a first time home buyer! Don't miss it! View my new listing for sale at 402 - 2320 W 40th Avenue, Vancouver and currently listed at $929,000. View my new listing for sale at 402 - 2320 W 40th Avenue, Vancouver and currently listed at $949,000. Beautifully appointed, bright & spacious 1 bdrm/1 bath corner unit at the heart of Point Grey! This amazing home features an open concept plan with completely renovated kitchen and bathroom, stylish bamboo flooring throughout the unit, fresh paint, and much more! Enjoy the abundance of natural light and the southeast exposure of your private wrap around balcony. The unit is a part of a well run co-op complex (35% down-payment required), stroll away from the most beautiful Vancouver beaches, Vancouver Yacht Club, transportation, shopping, recreation and dining along fashionable W 4th Ave. with easy access to UBC and downtown. A truly lovely home in a vibrant and desirable Vancouver west side neighbourhood. Sorry, no rentals. View my new listing for sale at 702 - 518 Moberly Road, Vancouver and currently listed at $998,000. Stunning, COMPLETELY RENOVATED condo with the VIEW in a sought after False Creek FREEHOLD complex. This beautiful and spacious home, bathed in the natural light offers functional, open plan layout with gorgeous, engineered hardwood flooring, designer kitchen, elegant quartz counter-tops, superb Fisher & Paykel and Bosch appliances, spa-like bathrooms, plenty of storage equipped with California closets and much more... Enjoy a spectacular view of the city and the North Shore Mountains from every room and your private, large patio. Unbeatable False Creek location, steps away from beautiful parks, sea-wall, restaurants, shopping, Canada line, Olympic Village and the Granville Island! Parking and storage included, rentals allowed. Open House this Sat & Sun 2-4pm, Tue, Nov. 15, 11:00am-12:30pm. Attention investors, downsizers & 1st time home buyers! This charming Art Deco building nestled on a tree-lined street offers an exciting opportunity to enjoy the fashionable lifestyle of South Granville's high-end shops, upscale restaurants, organic grocery stores, & European-style bakeries & cafés. Functional & spacious, this north-west facing layout features a bright & quiet living room with the master bedroom on the opposite end of the suite for additional privacy. The oak hardwood floors are original, & were finished in the Marine-style, with inlaid patterned borders. Vintage tiles, crown moldings & a few of the original lighting fixtures complete the look of this hidden gem. Pleasure to show! Open House Oct. 22, 2:30-4:30pm & Oct. 23, 1:00-2:30pm. View my new listing for sale at 208 - 3250 St Johns Street, Port Moody and currently listed at $199,000. Bright and functional junior 1 bdrm / 1 bath suite in the heart of Port Moody. This cozy unit features beautiful laminate flooring, stainless steel appliances, granite counter tops, gas fireplace, fresh designer paint and much more. Great investment opportunity, no rental restrictions! Centrally located with easy access to transportation, shopping, services, SFU, parks and recreation. The complex include huge exercise room, and still has the reminder of 10 year warranty! Make it your first home or buy it as a great investment! One of a kind! A stunning 3 bdrm/3 bath penthouse with the breathtaking views of the mountains, ocean and the city! Everything in this unit is a craftsman's masterpiece - radiant, polished limestone floors, Brazilian cherry ceiling, bird's eye maple cabinetry, master bedroom en suite with a state of the art Kohler body/spa, including aroma/light/steam therapy, sophisticated lightning system, top of the line Thermador appliances and much more... Beautifully appointed home, featuring open plan concept with a large patio out of living and dining area. Bonus - exclusive use of roof top - featuring a 1000 square foot roof deck. Only 14 units in the complex. Viewings by private appointment only. View my new listing for sale at 900 - 1235 W Broadway, Vancouver and currently listed at $2,298,000. One of a kind! A stunning 3 bdrm/3 bath penthouse with the breathtaking views of the mountains, ocean and the city! Everything in this unit is a craftsman's masterpiece - radiant, polished limestone floors, Brazilian cherry ceiling, bird's eye maple cabinetry, master bedroom en suite with a state of the art Kohler body/spa, including aroma/light/steam therapy, sophisticated lightning system, top of the line Thermador appliances and much more... Beautifully appointed home, featuring open plan concept with a large patio out of living and dining area. Additional bonus - exclusive use of 1000 sqf of a limited common property rooftop deck. Only 14 units in the complex. Viewings by private appointment only. View my new listing for sale at 900 - 1235 W Broadway Ave, Vancouver and currently listed at $2,298,000. One of a kind! 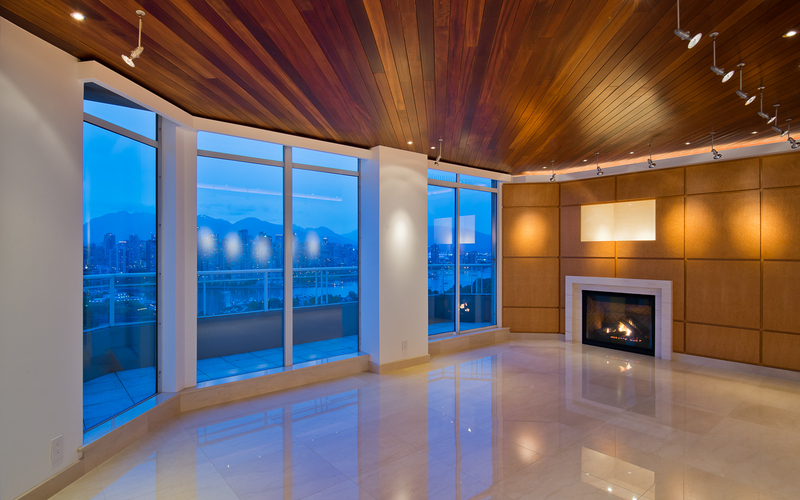 A stunning 3 bdrm/3 bath penthouse with the breathtaking views of the mountains, ocean and the city! Everything in this unit is a craftsman's masterpiece - radiant, polished limestone floors, Brazilian cherry ceiling, birds eye maple cabinetry master bedroom en suite with a state of the art Kohler body/spa, including aroma/light/steam therapy, sophisticated lightning system, top of the line Thermador appliances and much more... Beautifully appointed home, featuring open plan concept with a large patio out of living and dining area. Additional bonus - 1000sqft of a rooftop deck. Only 14 units in the complex. Viewings by private appointment only.